News about blockchain-first mobile phones have been making the rounds again, so we wanted to give it a bit more structured thought. A core premise of why Crypto matters is the ability to have digital goods that are scarce. This means, that these things are unique just like physical goods, and thereby support real economic activity. Two concerns, however. The first is that today’s Internet is free, and does not have the friction of costs. A blockchain-based Internet that does have built-in tolls everywhere is akin to buying music with built-in Digital Rights Management – just a frustrating, pointless experience. The music labels were never able to get consumers to adopt DRM. And second, using a DApp is really hard. Not only do you have to know how to buy cryptocurrency, but you need to buy tokens for particular apps, figure out how to store those tokens, and how to spend them. While yes, Metamask can do much of this, such an experience is still far worse than downloading an App from the App Store with one thumbprint. Usability could be solved by blockchain-native devices. HTC, Huawei and Sirin Labs are each working towards this goal. HTC is building a phone model called “Exodus”, which will be able to serve as a node for Bitcoin and Ethereum networks, act as a cold storage device, process crypto payments, hold personal identity, and support decentralized applications natively. Other HTC phones already support games like Crypto Kitties today, and the company has partnered with Animoca and Bitmark on future developments. There’s some speculation that these initiatives are just a publicity grab for HTC after the sale of its design team to Google, but we still think that the direction of travel matters. Landing a major handset with crypto functionality in the pockets of consumers everywhere is compelling. As for Huawei, the world’s third largest handset maker, it is rumored that they are partnering with Sirin Labs to license Sirin’s operating system. Sirin has already been working on a blockchain-enabled smartphone called “Finney”, manufactured by Foxconn and sold for about $1,000. It also supports blockchain applications, such as a crypto wallet, secure exchange access, encrypted communications, and a P2P resource sharing ecosystem for payment and apps. The caveat for Sirin is that the phone requires a proprietary token, SRN. Which of course goes back to our initial points about DRM – the things most likely to succeed is the one that has the fewest barriers. Here is a founder's dream. You and a partner own 60% of the company you founded. That company printed $2.5 billion of revenue last year. You have massive political capital to influence the industry in which you are a top player. To cash out, you are looking at an IPO -- the real regulated kind -- of $9 to $12 billion. Welcome to Bitmain, which was founded in 2013 and makes Coinbase and Binance look like amateur town. The company is behind Antpool, the world's largest cryptocurrency mining pool, and is also the largest producer of mining hardware. The next step in the playbook is neural network processing, which also requires specialized graphics cards, a market currently dominated by Nvidia. We still think that mining is something that should be done by traditional banks to support the crypto rails. 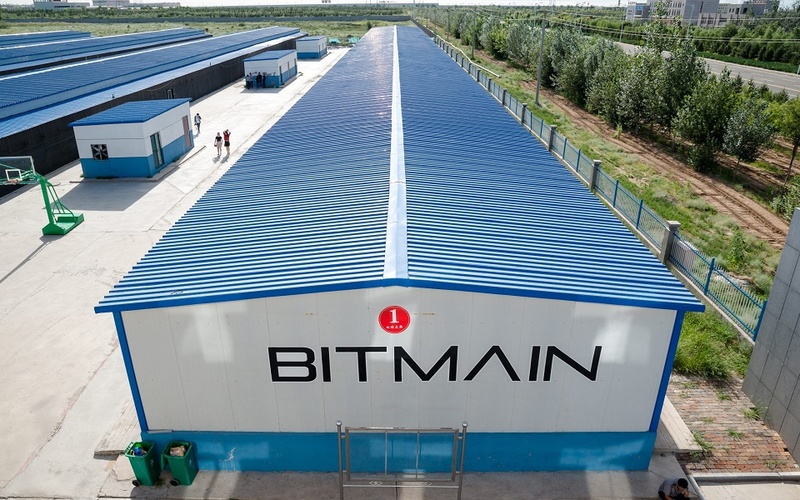 And so if Bitmain does go public, it will open a fascinating window into the operations and economics of manufacturing global trust machines using hardware and software. Let's take another potentially meaningful instrument. The saga around a Bitcoin ETF continues to grab headlines, this time with a combined effort from $45 billion AUM asset manager VanEck and crypto company SolidX. Prior efforts were all shot down by the SEC due to an "immature" market -- pointing to everything from liquidity, to execution, to volatility. The lack of an ETF, in turn, created an absolute nightmare in the public equities markets. Instead of buying something efficient at 20 bps, investors flooded into blockchain-pretenders like Long Island Ice Tea. Which caused the SEC to start chasing these opportunists to shut them down. But it looks like VanEck may have an ETF contender that is made up of actual cryptocurrency in cold storage with an insurance layer against hacking. That sounds way better than an ETF made out of CME/CBOE futures to us. Except the planned minimum investment is $200,000. Let's linger on the differences between these two potential events, and the existential questions they create. One is a currency (or store of value) in which digital economic activity is denominated. The more economic activity shifts into it, the better; speculative trading and labyrinthine financial structures don't count. The second is a traditional oligopolistic champion with regular old equity, selling a claim on profits off $2 billion in revenue. That revenue is essentially a toll-booth on the functioning of the Bitcoin network. If Bitcoin continues to exist at all, Bitmain continues to charge its toll for network maintenance. Which one sounds like more of a sure thing?